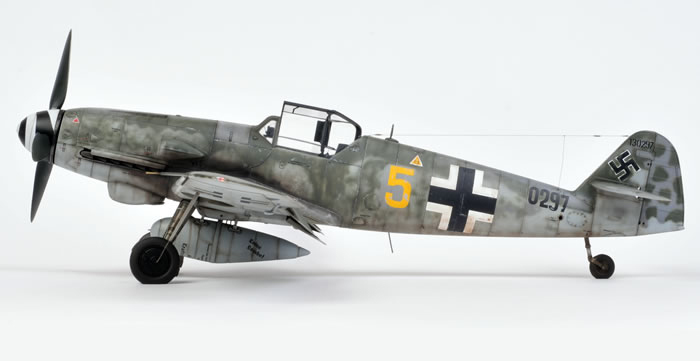 Hasegawa 1/32 Me Bf 109 G-10/R3 of 10./ JG51 based in East Prussia and flown by 26 victory ace Fw. Horst Petzschler. 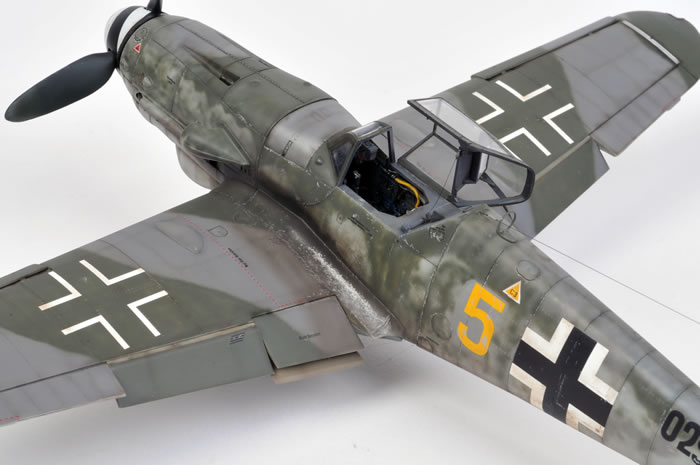 Petzschler flew this aircraft to Sweden on May 4, 1945 to escape the advancing Soviet forces. The model has a replacement spinner and chin radiator fairing both from Eagle Parts. All tyres were flat spotted. 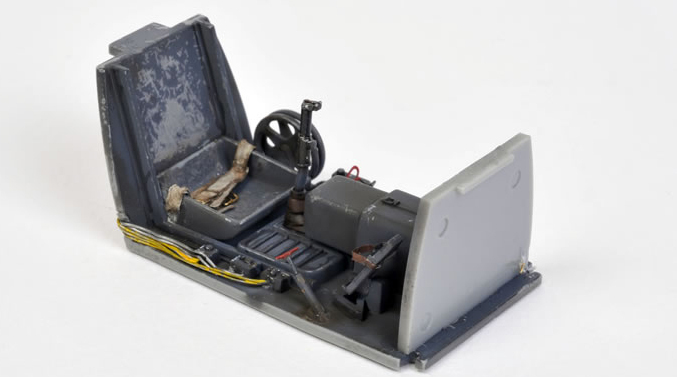 Some extra scratch-built detail was added to the cockpit. This included seat belts, handles and wiring. The chipping on the wing root was done with a silver artist’s pencil. This entry was posted by Chris Wauchop. Hi Chris, I just love this one another one of my favourites ! ( the 109f and the 190 were also good ) but the mottling on this is really superb ! Hey Chris, any chance you could post an under surface shot ? Hi Peter, I did have fun with this one as it has been a scheme that I had wanted to do for along time. As for any shots of the under surfaces, I don’t think Brett took any, and as this was a commission build, the model is long gone. Sorry. 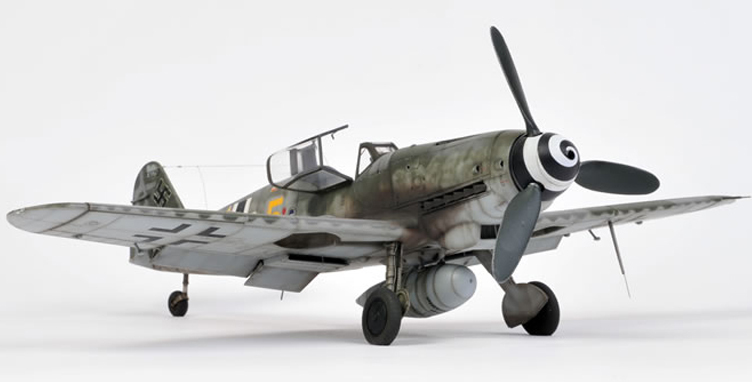 Hi Chris, you apply effects to your models are a great encouragement to dabble in luftwaffe issue. Thanks for sharing your wonderful accomplishments, a Merry Christmas! Thanks Ben, and a Happy Christmas to you to. 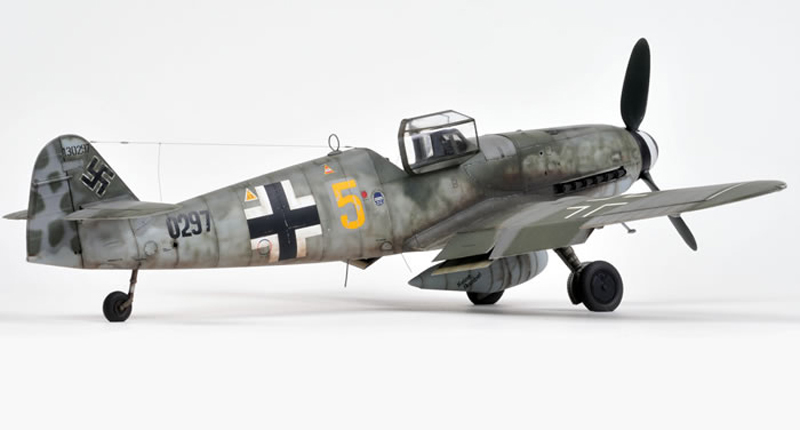 I really like the micro-painting on your models, this style of airbrushing brings great realism, your models are the most close to reality I have seen. Thanks Carlos. 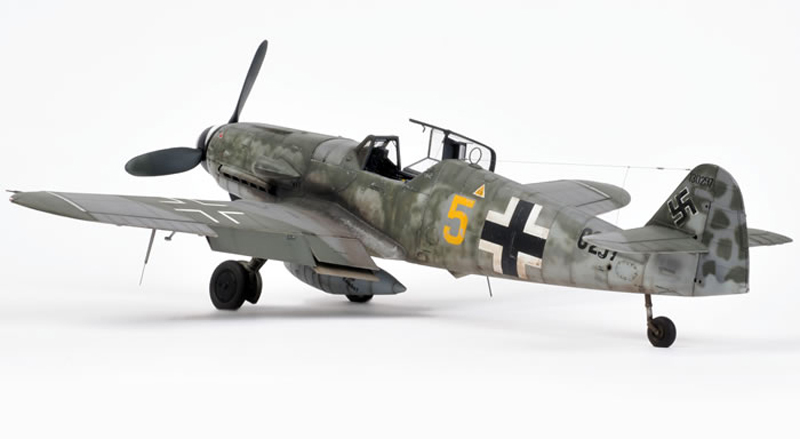 What I try to do is to paint the model with the airbrush adjusted to, what I think, is a scale setting. This method does take a little longer but it usually results in a much more realistic finish. From what I’ve seen, it looks like you use a similar method when painting your beautiful models! Hope you have a very Happy Christmas. Thanks Chris. You’re right, I’m trying to emulate your scale setting, but I am far from your accuracy, color balance and wheathering. For me it is an honor that you liked any of my models. Hope you a Happy New Year and I wish you many new models. I am a follower of your job in scale model. I have paid attention about your technique for chipping. So, I am curious about if you use a pencil or do you paint it with a silver color? I’d like to know, I like a lot your models and I am pending when you publish a new one. Sorry I’ve taken so long to answer you Guillermo, but I’ve only just caught up with your question. The answer is that I use a very sharp silver pencil and build the scratches and chipping up gradually. My absolute favorite scheme on a ‘109! Stunning build, wish mine had turned out as nice as yours. Well done! I wish I still owned it! I had great fun doing this one as it has always been one of my favourites as well.